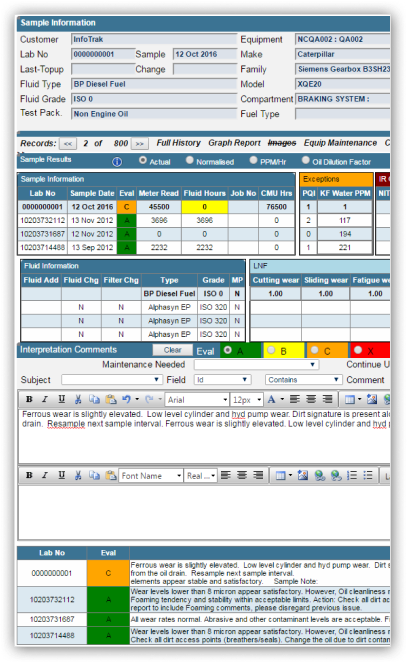 Leveraging 15 years of laboratory information system experience, Oil Commander is a world class application for managing raw fluid samples for the purpose of extending machinery life. Enable your customers to maximize their equipment life and minimize their costs. Customer logos to go here who use our system to go here. Your customers can login anywhere, anytime on any device to view the results of their fluid samples along with recommendations and corrective actions provided by your laboratory experts. Easily generate and send beautiful reports with engaging graphs for your customers which convey the results of their oil samples and advise on corrective actions to take. 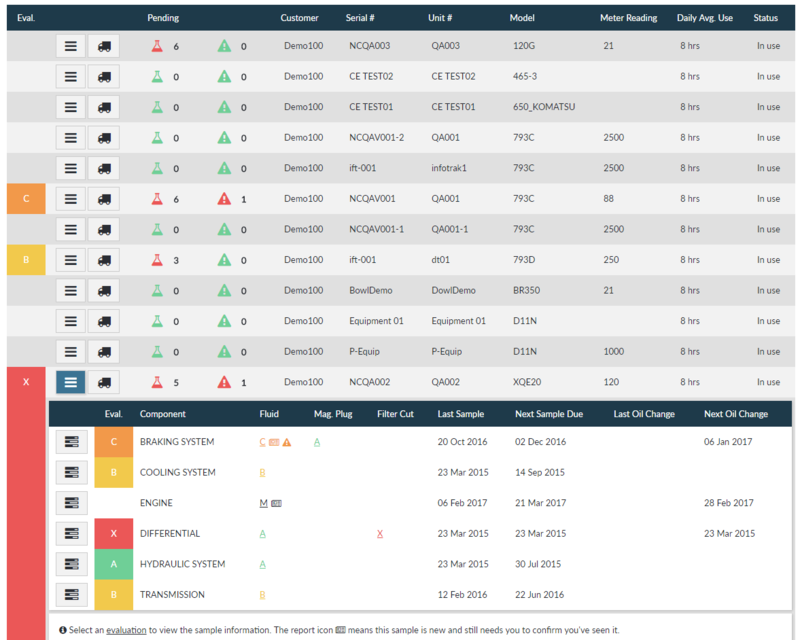 Your customers can manage entire fleets of equipment all from a single dashboard. The sample data registered and interpreted by your lab staff will automatically flow through to the end customers. They can easily filter and view the information, sorting by importance based on evaluations. Customers have immediate access to the latest sample data. Our laboratory information management system has been an industry leader for over 15 years, working closely with clients all over the world to ensure Oil Commander delivers everything you need and more. We facilitate the process of analysing, interpreting and issuing reports electronically or otherwise. Key Performance Indicators are comprehensively covered and included in our reporting tools. All fluid samples are time stamped and stored for easy tracking of delivery and processing times to help you optimize performance. An easy to use barcode generation system provides for a fast and reliable method of processing fluid samples and matching them with the corresponding clients machinery. Interested? We’d love to chat! Contact our team on +61 3 9553 1055 today!